Performance running socks might look the same side-by-side, but assuredly, they are not created equal. Feetures! 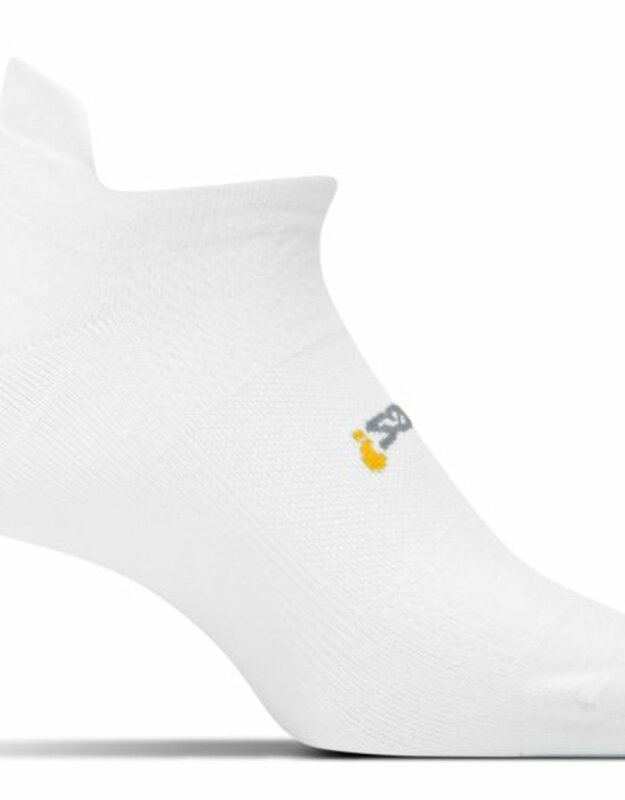 goes to great lengths to add fine comfort details to the High Performance Light Cushion No Show Tab Sock. Flat-knit material feels smooth against your skin, Lycra bands keep this sock close to your foot, and a pair of ventilation panels make this one of the most breathable socks you'll ever run across. And the best part? The no-show cut means no funky tan lines after a summer full of running.